Night vision has been a common feature for hunters, law enforcement and many other industries for a long time. But are these entities benefiting from the latest technology? 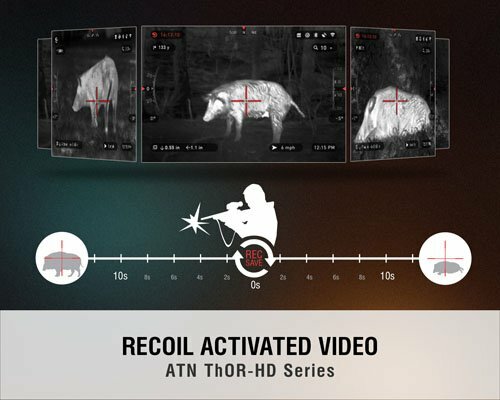 You could be missing out if you haven’t tried out ATN’s Thor 640 thermal rifle scope range. We did some research so you can decide if it’s what you are missing for your next adventure. Overview: What is the ATN Thor HD Line? As technology develops you can expect manufacturers to follow suit and ATN doesn’t disappoint. The brand decided to update their products and that’s how the Thor HD series came about. The focus is on enhancing all aspects that can make the scopes more user friendly such as designing smaller units that have more features. Despite some of them being more affordable they’re still more powerful than some of the brand’s previous units. A central feature of each scope is its Obsidian ‘T’ II Thermal core. This computer is what makes it possible for the scopes to receive and analyze data & then produce vivid pictures. And it does it super fast too! But why consider this if you already have night vision gear? To determine what you need it helps to understand the technology. So, what is a thermal scope exactly? When using a thermal scope your images are created by the item’s ability to detect temperature differences between all objects in the view of the scope. A very advanced scope can pick up even on very subtle differences; even weather or low visibility doesn’t affect this ability. A thermal scope uses the well known concept of infrared light. But do you know this light can be split into categories, based on wavelengths. A thermal scope uses the category called thermal-infrared where wavelengths range from 3 to 30 microns. This category works different than others. Instead of the infrared just being reflected back, thermal-infrared gets emitted by the object. In simple terms thermal imagers pick up the radiation or heat each object gives off. Because a subject’s temperature will be higher than the surrounding objects, this information can be used to distinguish the object from the background. This process happens within 1/30 of a second and no ambient light (such as stars) is needed for it to be effective like night vision does. Is it Better Than Night Vision? A night vision device requires a light source—such as moon light—before it can provide you with an image. The magic of thermal viewing is, as mentioned, that you don’t need ambient light. Therefore, a thermal scope can be used in more scenarios than a night vision product, even if there’s absolute darkness. Where night vision is simply image enhancing, thermal imaging can provide you with an image even if there’s no visibility at all. Although this technology was intended for military use, these scopes have been customized to now help society in a range of scenarios. Of course it’s used for law enforcement to help police officers know what is going on even if there’s smoke, dust or even foliage blocking their view. Hunting: Hunters can even detect small animas since their temperatures differ from the grass and environment around them. Security services: You can add this to a CCTV security system so threats can be seen clearly. Maintenance: Thermal imaging can identify hot spots in electrical infrastructures so maintenance officers can make pro-active decisions. 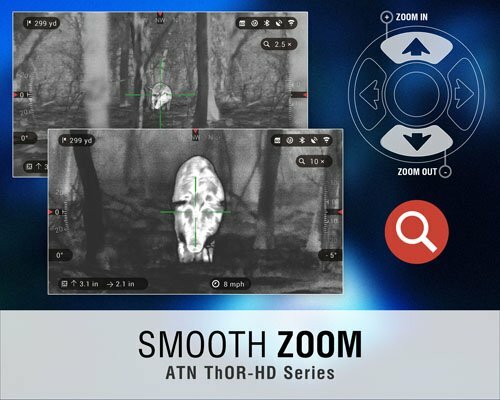 While ATN created a whole line of exceptional thermal scopes, what is so special about the Thor 640? Ballistic calculator: This is handy for hunters as the unit will calculate your bullet’s trajectory. This makes for more accurate shooting. 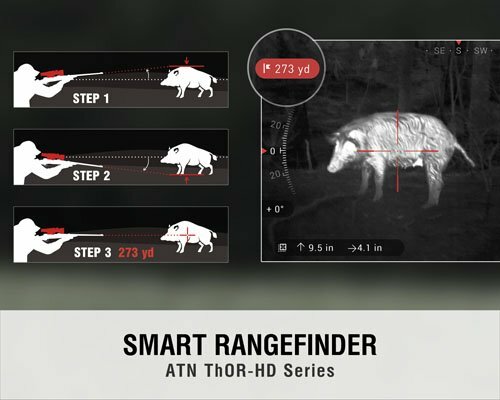 Rangefinder: Another feature hunters love since they can help you hit your targets more often. Smooth Zoom: Where other zoom functions tend to throw you off balance, this one helps you keep in sight what you have in your field of vision. Video recording: Don’t simply look at what you want to shoot, record it to view later or show others. Connectivity: Download your recorded footage effortlessly, straight to a mobile phone or tablet for safe keeping. The units are compatible with both iOS and Android, embedded with Wi-Fi & Bluetooth technology. RAV (Recoil Activated Video): How many times did you miss capturing excellent footage simply because you didn’t think of recording in the heat of the moment? In RAV mode the Thor series will start recording and capture the shot and what happens afterwards. Now you’ll have proof of the stories you want to tell afterwards. SD card holder: You don’t have to attach additional storage devices. Keep it simple and record footage on your SD card. Battery pack: You can opt for a battery pack as an accessory to give you more hours in the field without needing to swap batteries or recharge. Remote: Another great accessory gives you control in the palm of your hand, helping you control the rangefinder, calculator and more. 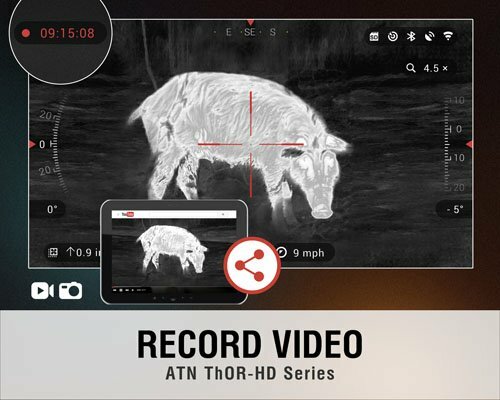 ATN Obsidian app: You can enjoy nifty features like viewing a live stream of what the scope picks up or viewing what you’ve already captured. Profile manager: You can create a profile for each gun you use so you don’t have to re-zerro your scope each time you set it up on a new weapon. All of these features are encased in a remarkably ergonomic unit. You feel much added weight while using this scope, so it’s a practical option even if you plan on using it while being on your feet for a few hours. 1.5-15x: This is the lightest in the range weighing in at 1.55lb. Your detection range is 800m. 2.5-25x: This model gives you a great detection range of 1500m but note that it has a shorter warranty period of only two years, compared to the others that are covered for three. 5-50x: Enjoy a total detection range of 2500m and identify someone 600m away. However, be prepared for the weight of 2.75lb which can feel heavy after carrying it around for a while. The largest of the set, this one’s dimensions are 10.67" x 3.97" x 3.47". Before you settle on which on to get for yourself, you probably have some of these questions. The scopes each use 4 AA batteries. The Thor 640 range can have an impressive battery life of 8 hours if you use the recommended Lithium Ion type batteries. However, the brand also offers an additional ATN Extended Life 20000mAh battery pack. This can power your scope for up to 22 hours. 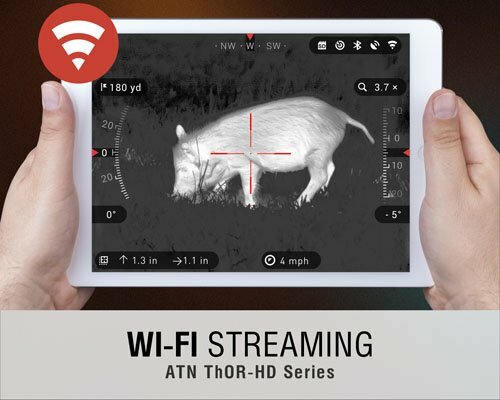 What’s the difference between ATN Thor 640 and 384? The biggest difference between the two ATN ranges lies in their sensors. The 640 range carries 640x480 sensors while the other only has a 384x288 thermal sensor. This leads to better detection range and you’ll have a clearer thermal image if you use one of the scopes in the 640 line. Does it work well with glasses? Because you can focus the eye piece you can use it with or without glasses. However, be careful that the recoil doesn’t cause damage to your glasses or injury to your eye. Does it work as a regular scope during the day? No, it doesn’t work as regular scopes in daylight. You can use it, but it will still create thermal images. In addition, the heat during the day may cause foliage to stand out more, which would make other objects—such as an animal you’re hunting - seem less clear. 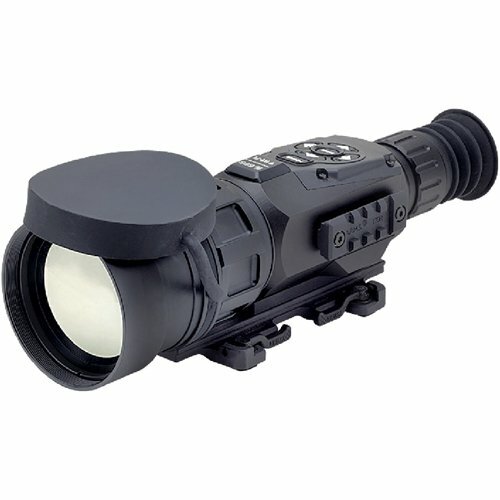 It’s more dynamic at night and you should consider using other scopes in the day time. Can I take it and use it as a monocular? Yes, you can use a thermal rifle scope as a type of monocular. Many consumers use it as this unique type of telescope, since the images are that detailed and accurate. 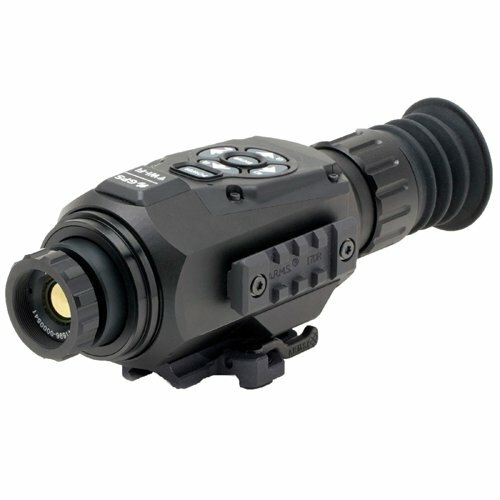 There’s no question that night vision has reached a new level with the introduction of the Thor 640 line. While they do carry high price tags, you can see it’s remarkable what you get for that price. The many features don’t simply give you better viewing abilities at night; it enhances your entire experience, no matter what you use it for. Try one. It’s worth it!